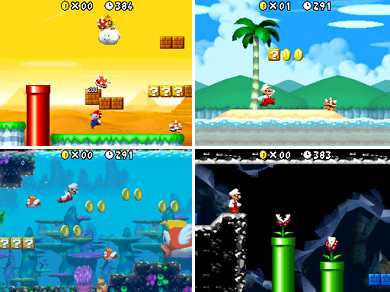 Nintendo DS Super Mario Bros. Screenshots | OhGizmo! By David Ponce on 03/12/06 • Leave a comment! Yo, my peeps! 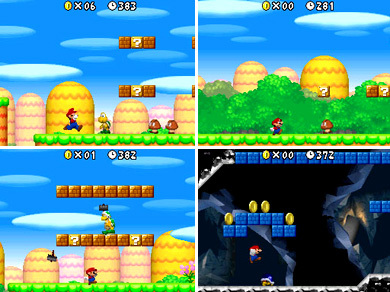 Y’all might have heard by now, but if you haven’t, you should know that Nintendo is working on a brand new, sidescrolling version of Super Mario Bros. for the Nintendo DS. 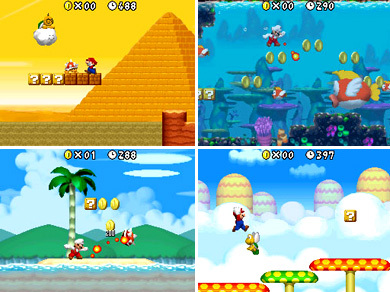 So, yeah, you’ll be able to rock it old school now, though I’ve no idea what the plans are for the second screen. Neverheless, what you see here is one screenshot of the upcoming game, and you can come inside for a couple more.